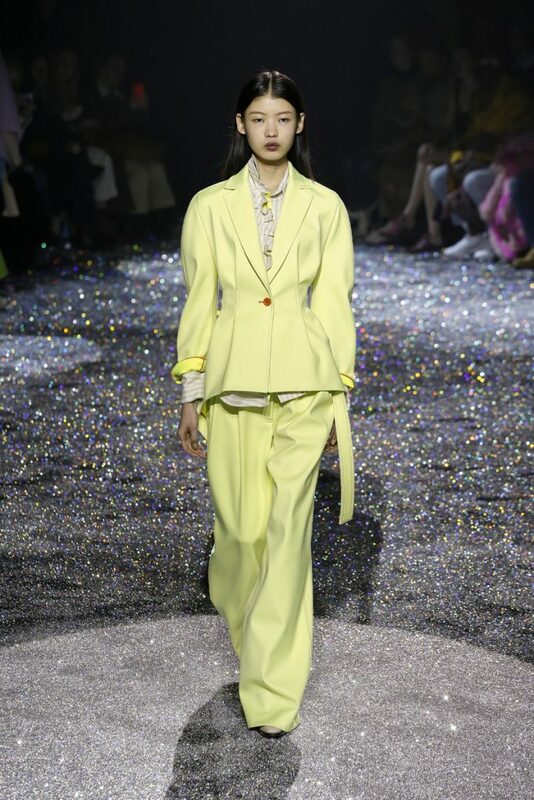 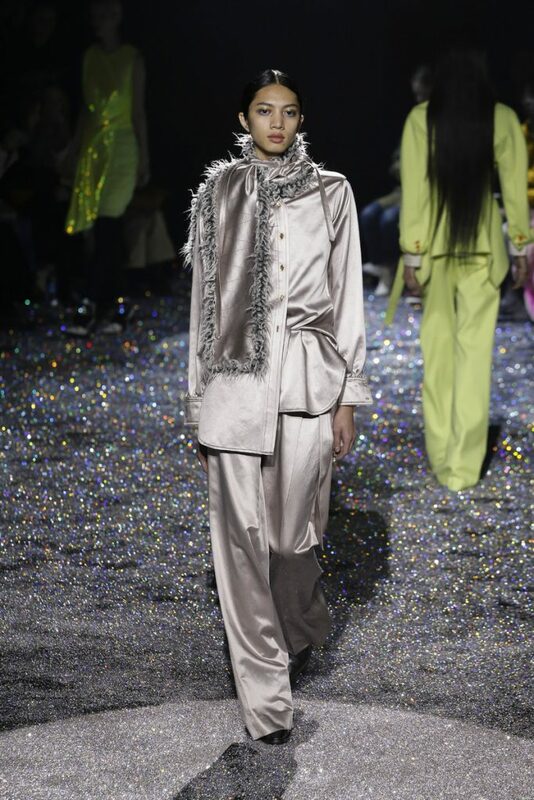 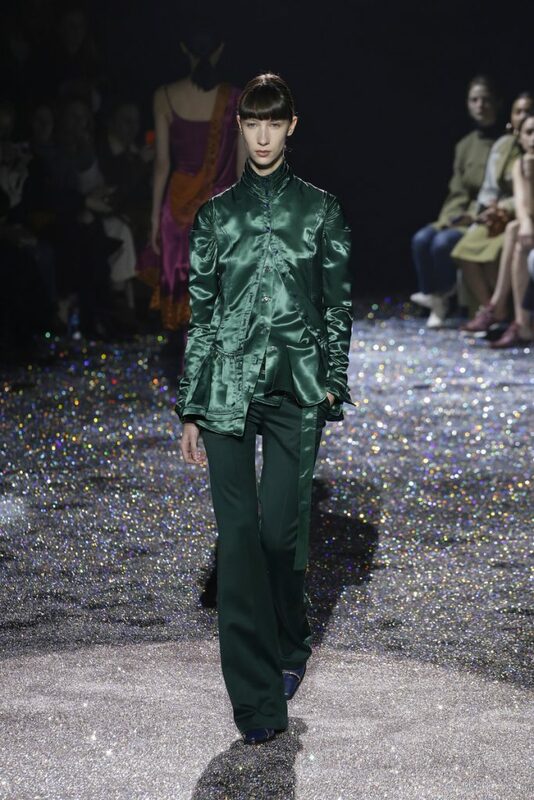 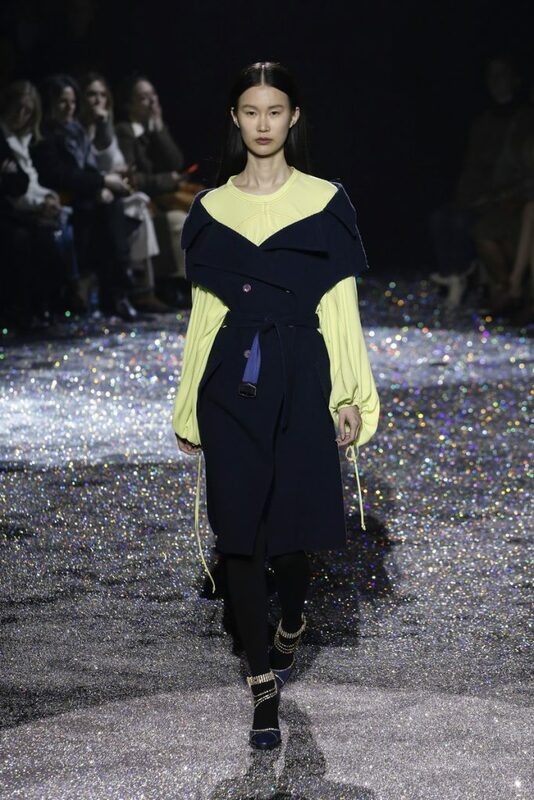 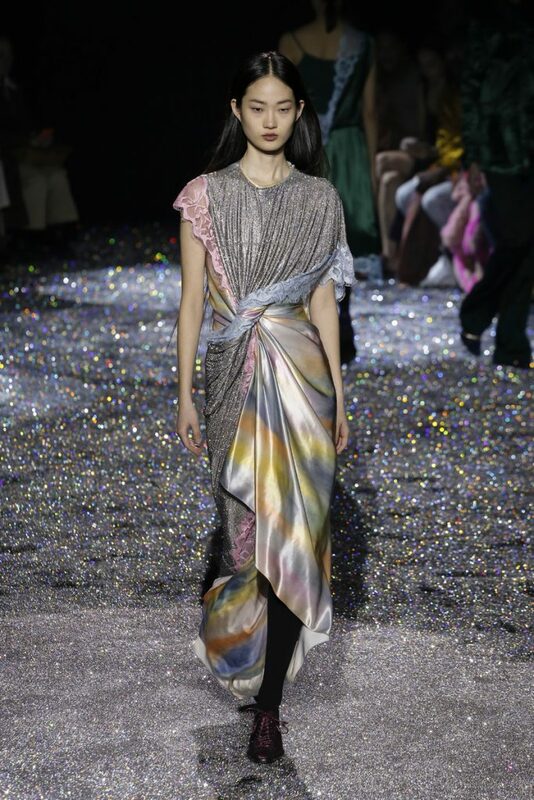 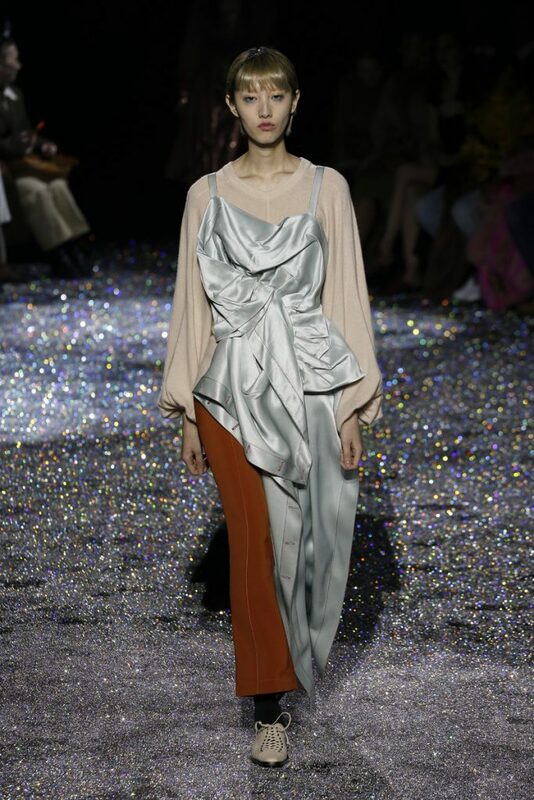 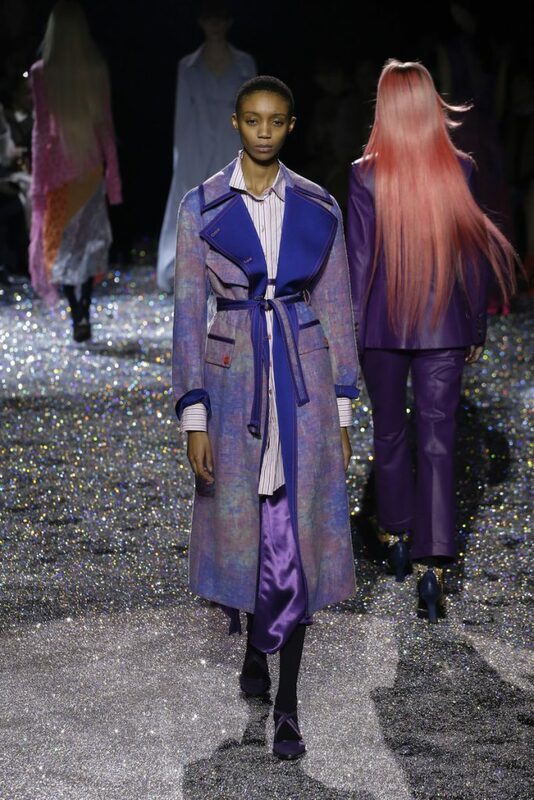 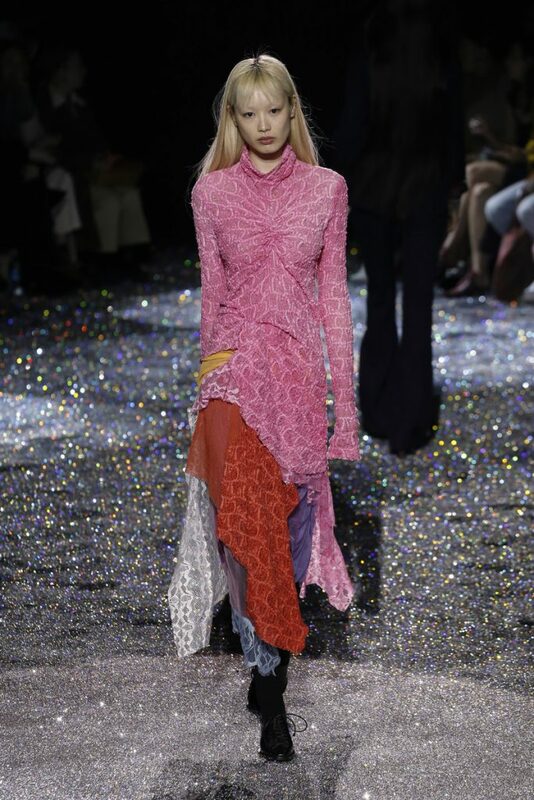 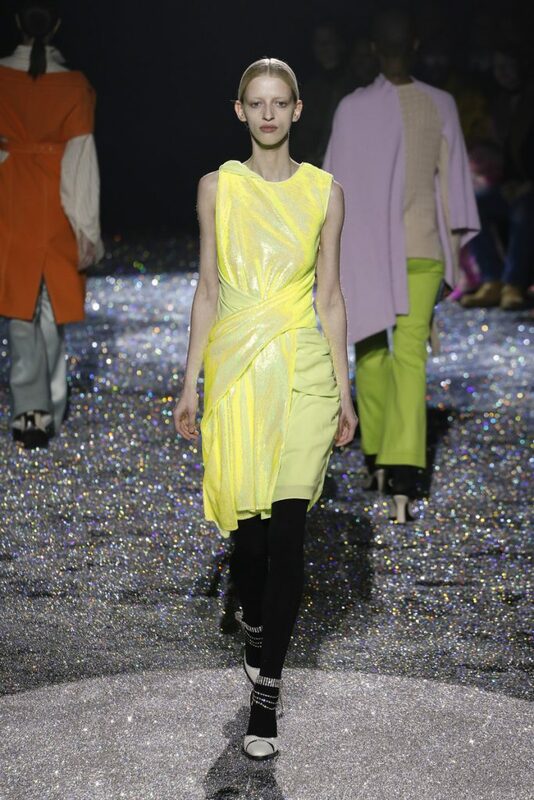 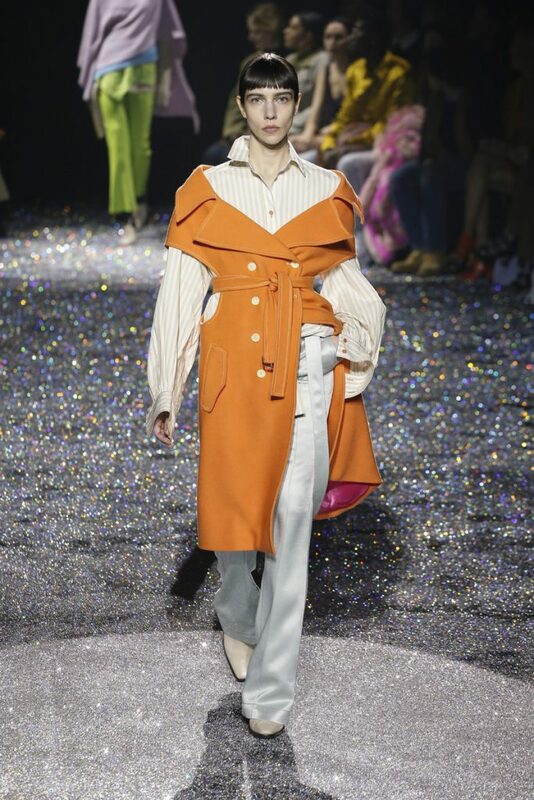 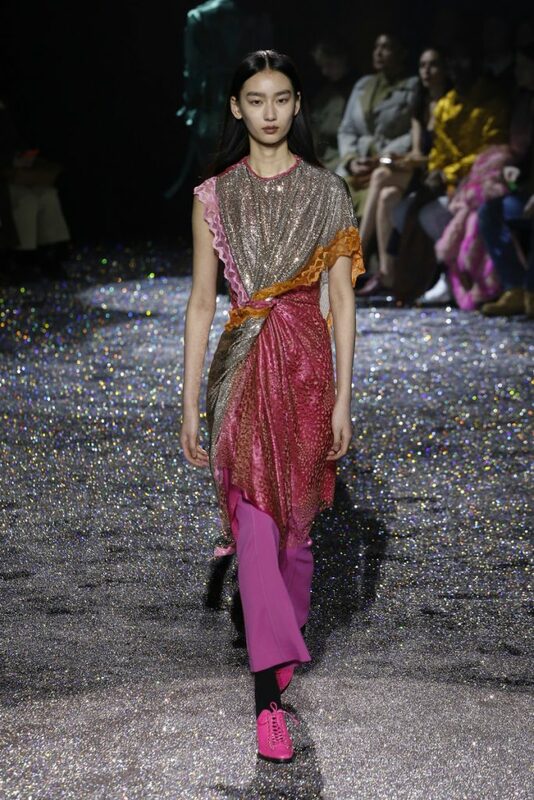 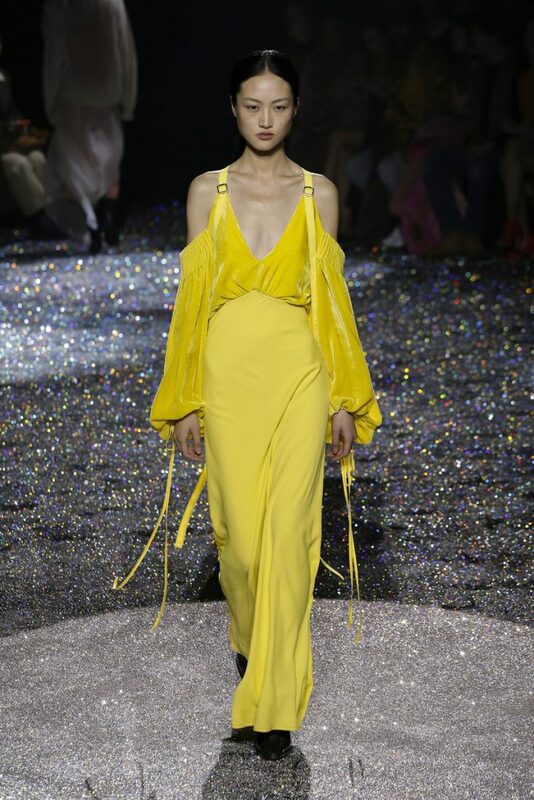 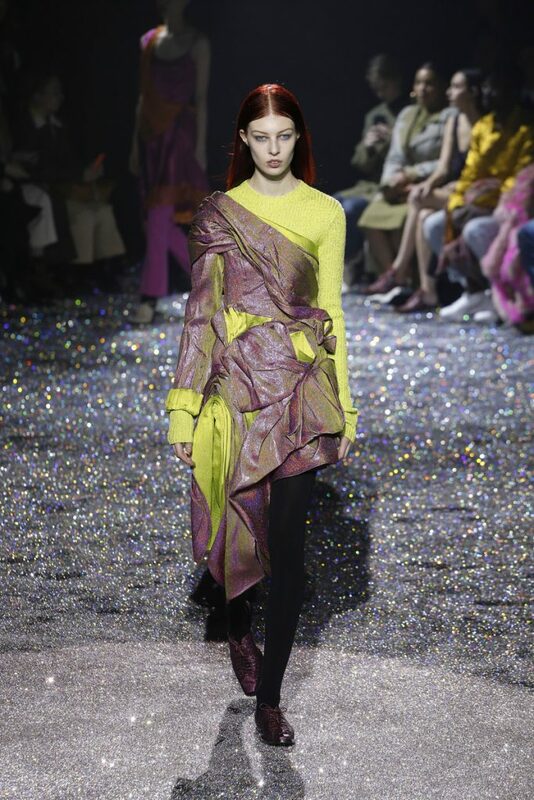 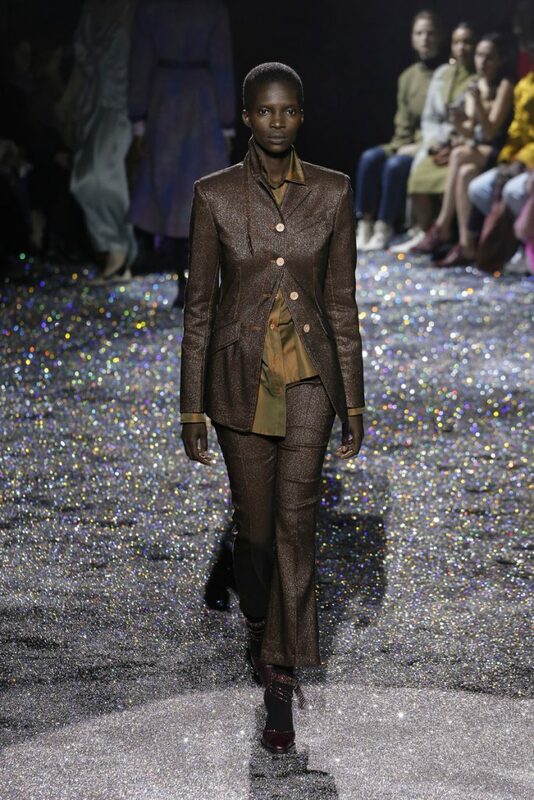 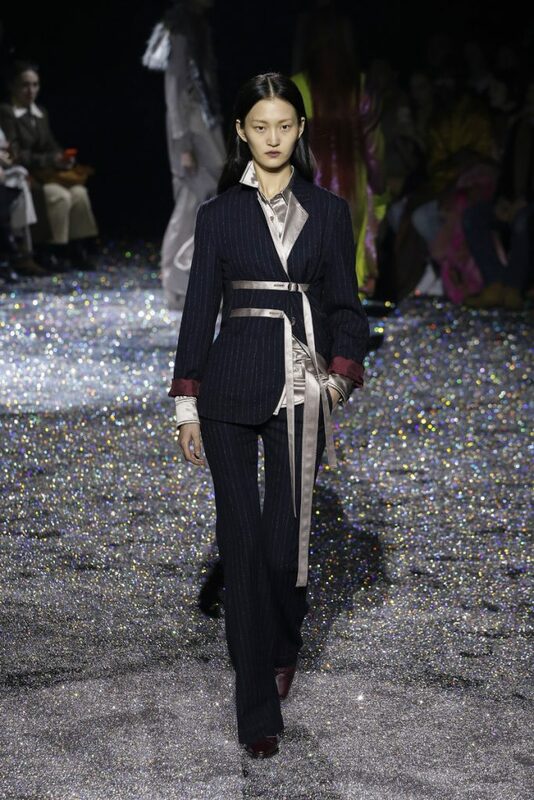 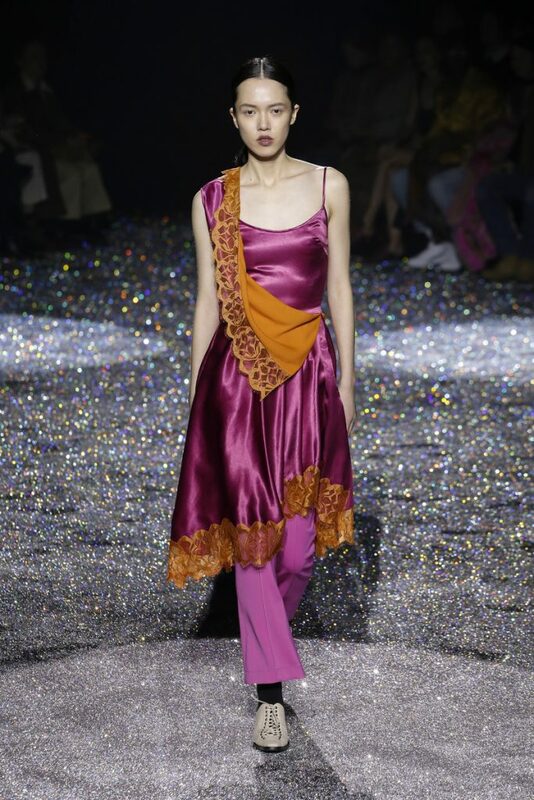 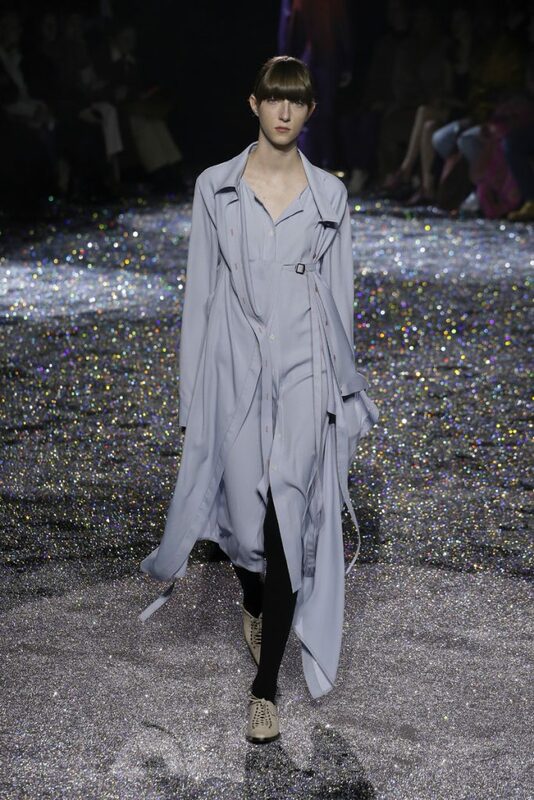 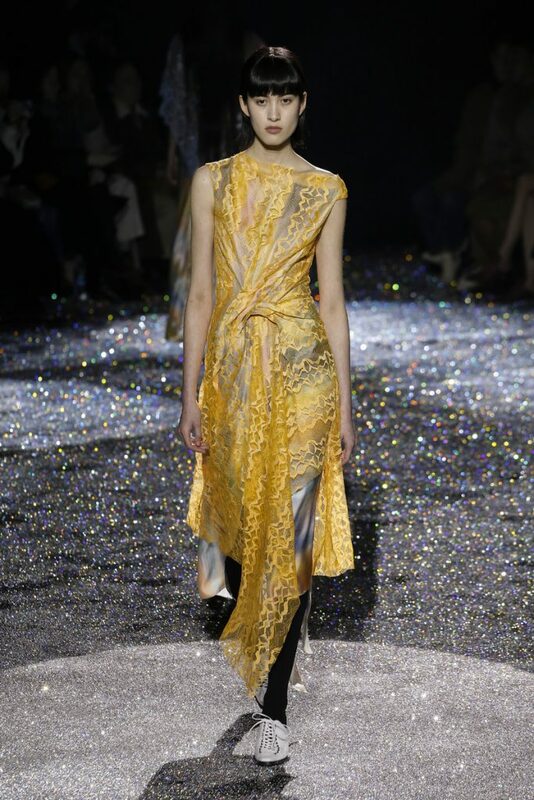 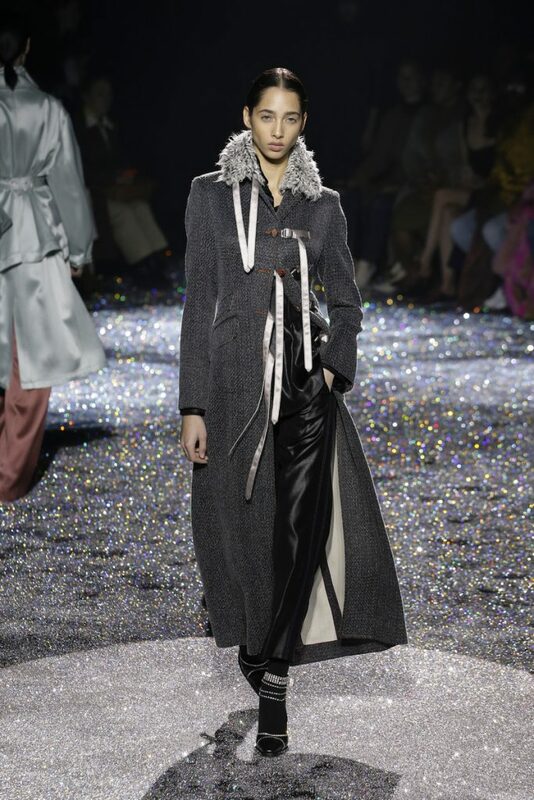 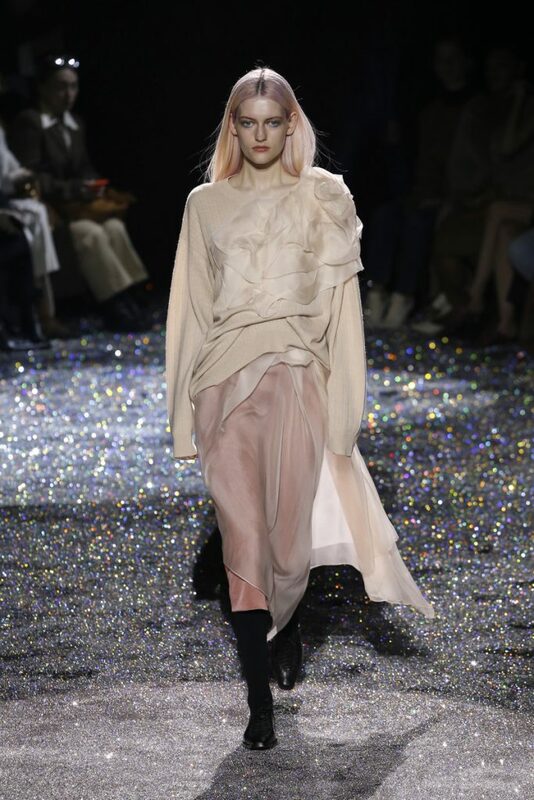 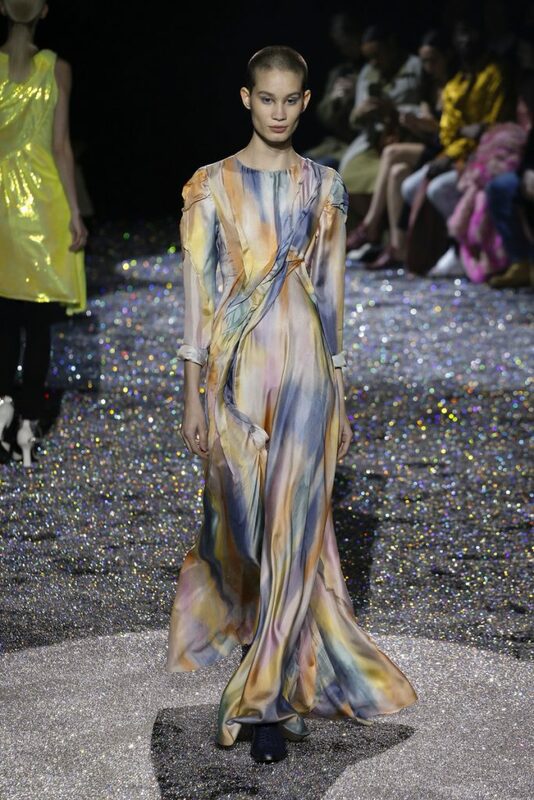 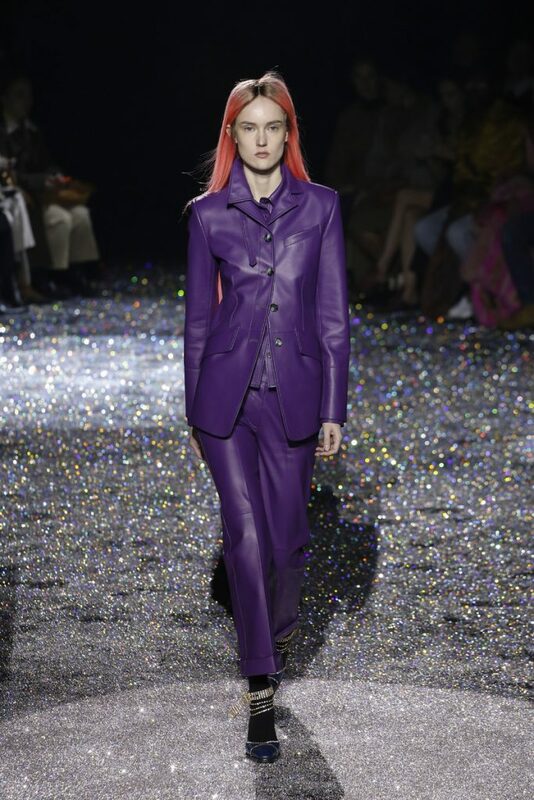 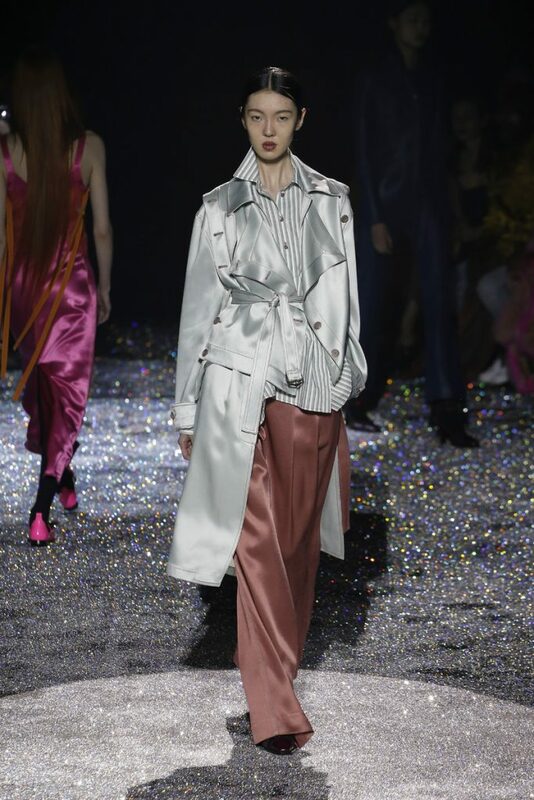 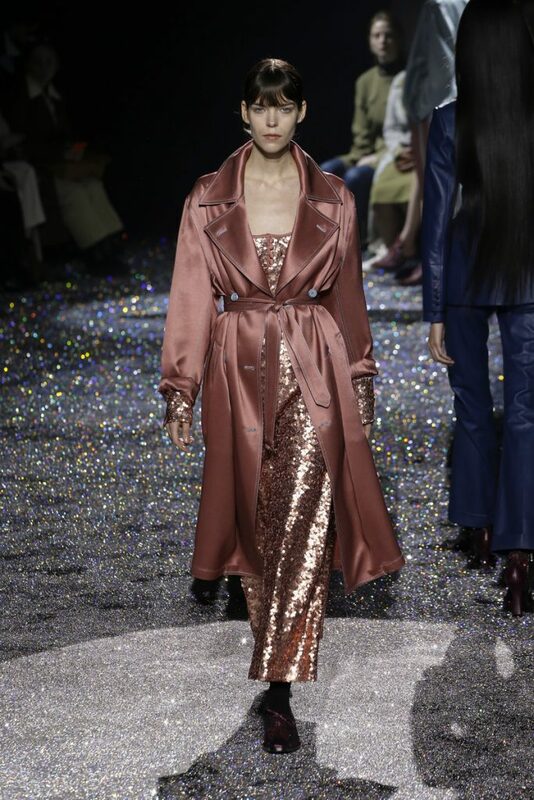 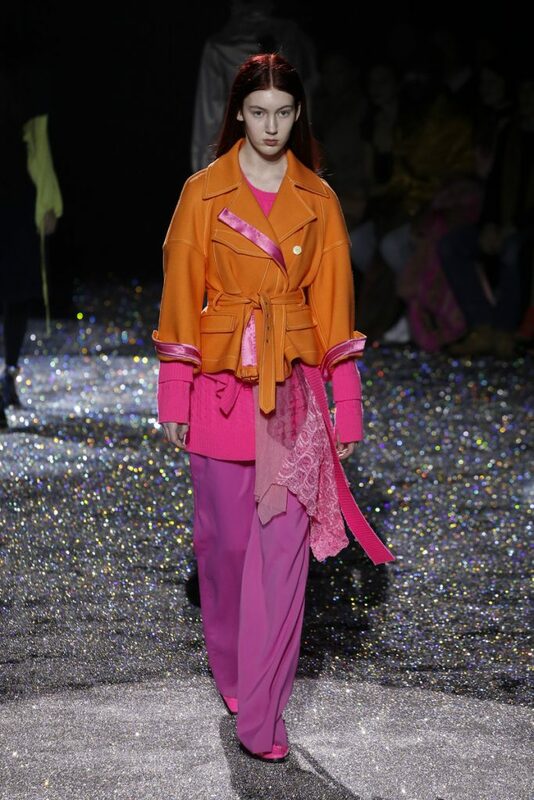 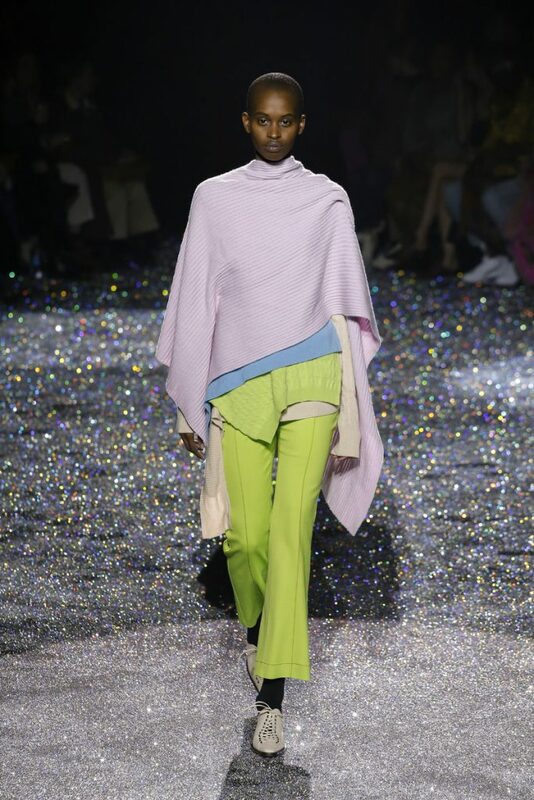 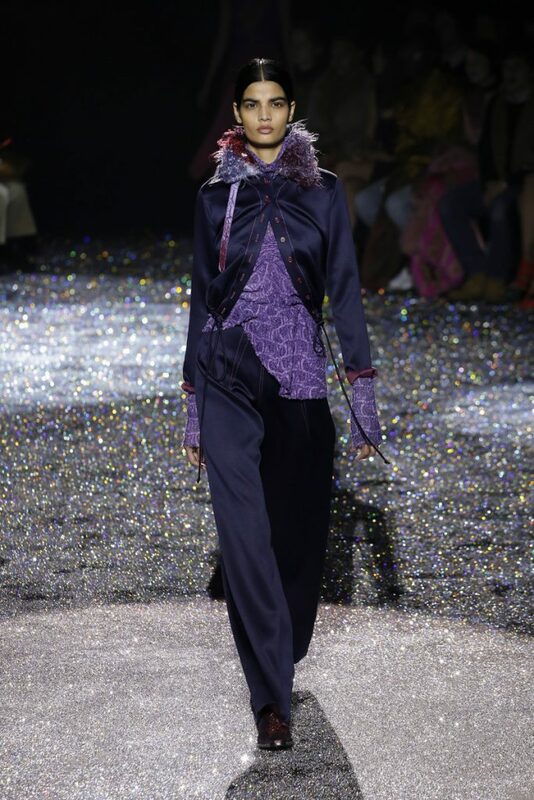 On a Swarovski crystal scattered runway the Sies Marjan models appeared in the label’s latest, colourful looks. 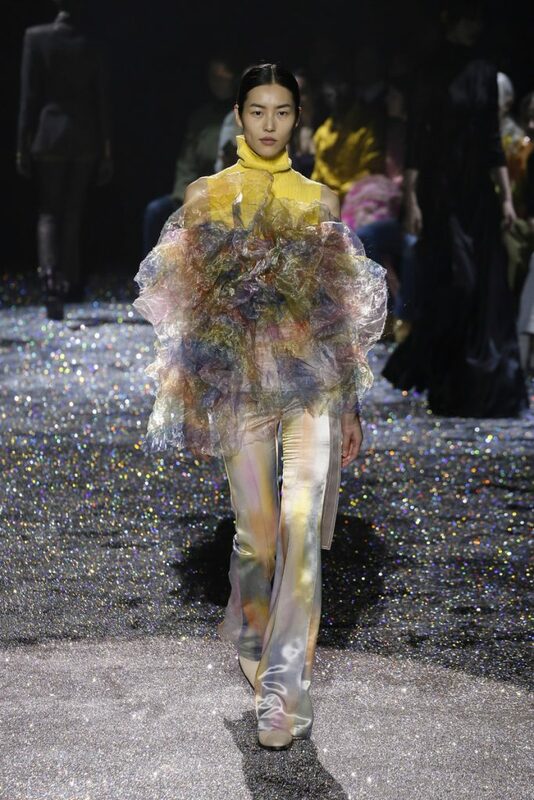 Looks that, as designer Sander Lak intended it, spoke of love and falling in love. 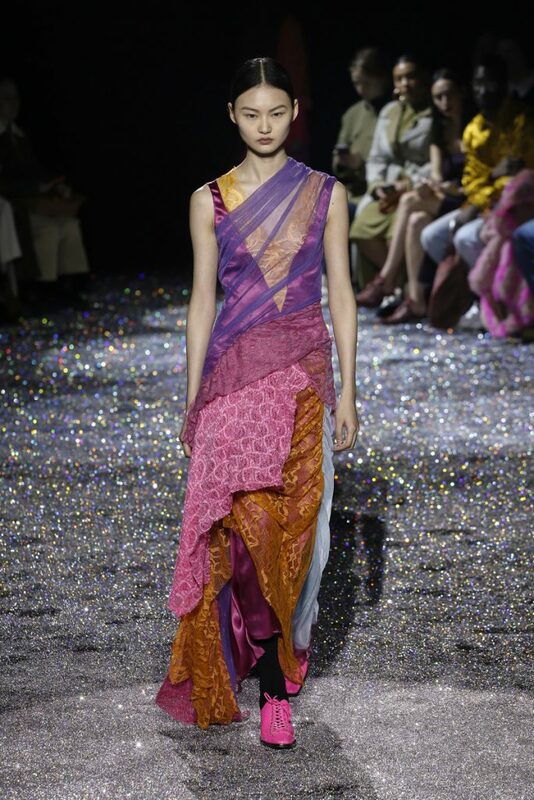 Satin, lace and glittery fabrics in the mix this collection was sweet, feminine with a touch of mystic (we got Indian vibes from some of the patchwork dresses). 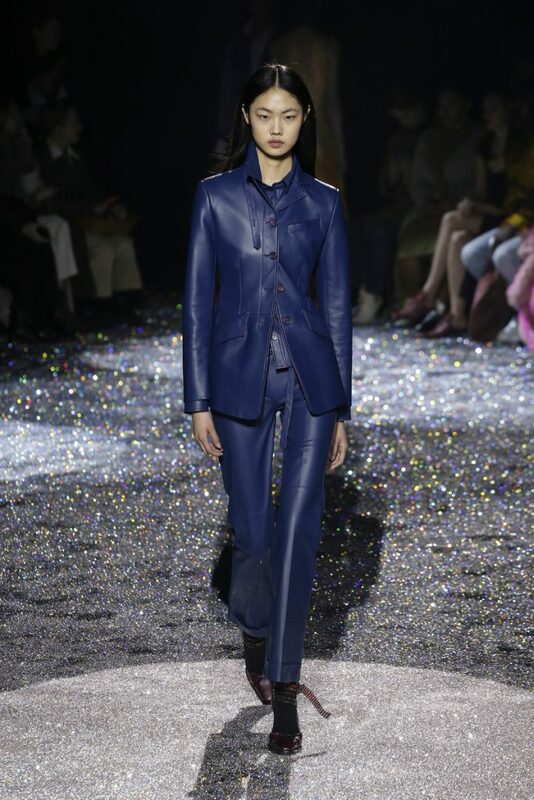 A light and loose fall collection, apart from the colored heavy leather suits. 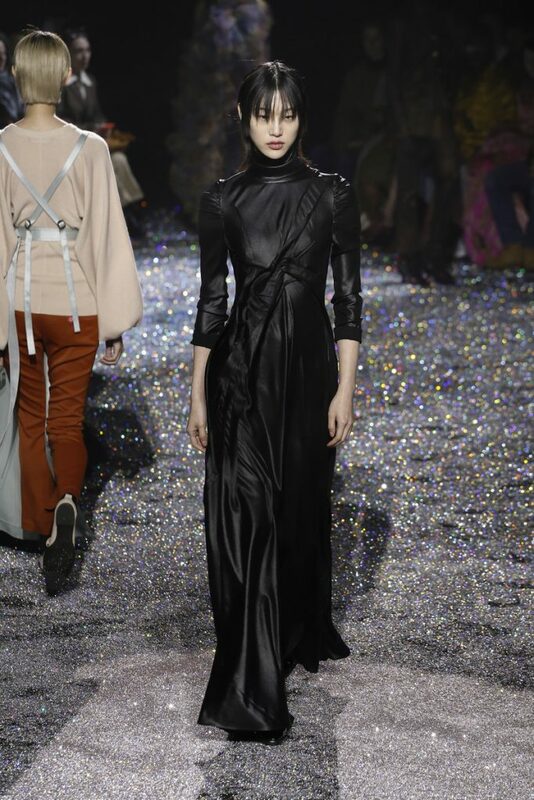 A black dress stood out from the rest as Lak told how he doesn’t like this color in his work. 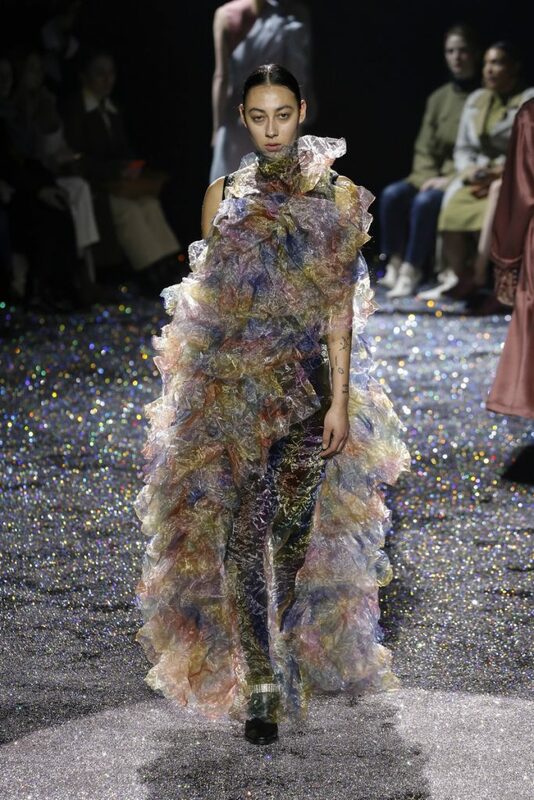 Yet, as with other elements in this collection (lace and neon) he pushed himself to use them and form some kind of love relationship with them. 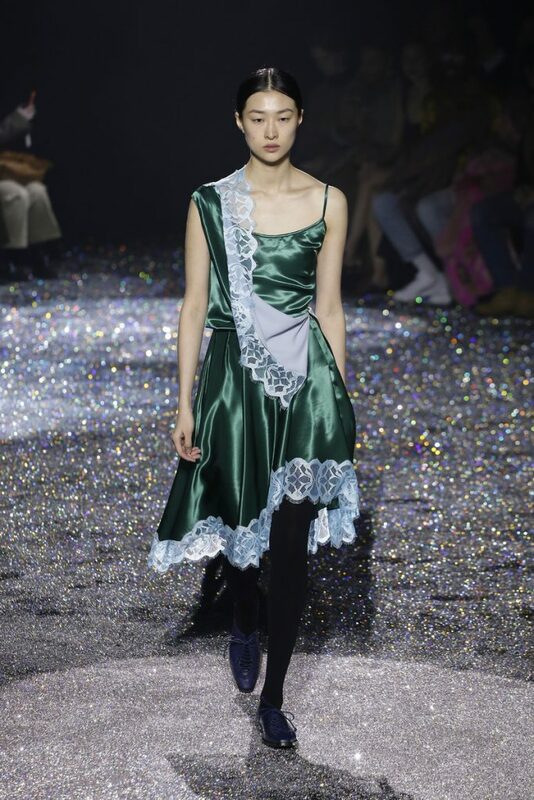 A rather strange approach (cause why not just use all the ingredients you do love?) 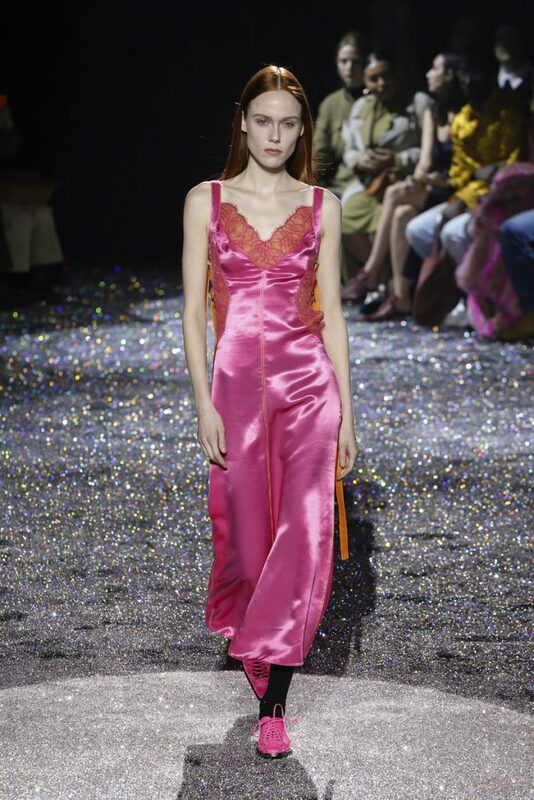 but it worked out.